Aren’t these so cute! My husband and I are huge Disney fans so when we came across these Mickey Mouse and Minnie Mouse mini Gingerbread Cookies we knew we had to share them with our fellow Gingerbread fans. 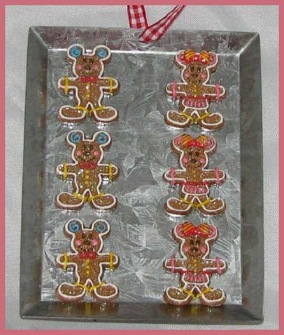 These Gingerbread Cookies are on a metal baking tray and can be ornaments ready to hang on your Christmas tree. Visit here for details.